Are you searching for ways to improve your healthcare marketing strategy? Healthcare market research can help your brand effectively reach its target audiences. Using innovative methodologies in healthcare market research can help your brand take the next step forward. 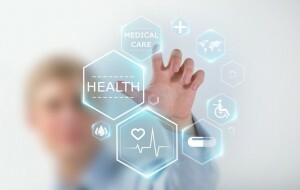 Are you tapping into the potential of healthcare market research? Healthcare Industry costs are continuously on the rise in the United States. It is expected by the year 2019 that expenditures will reach nearly $4.5 trillion dollars. As healthcare costs increase, many families, disabled people and senior citizens are opting out of their healthcare programs because it’s unaffordable. More than 133 million Americans suffer from chronic diseases such as cancer, heart disease, obesity and mental disorders and The National Health Council projects that number to grow to over 155 million by 2020. We are entering an era where personalized medicine and healthcare programs can become the most successful healthcare brands. Brands will require market research to be successful in this evolving environment. When your brand has the right insight and marketing recommendations, you can obtain a better understanding of the desires and needs of consumers, physicians, and patients. The more you know about your target audiences, the better you can create platforms and communication avenues for your health care products and services. Our market research team has spent years working with clients from the health care industry. We are comfortable with a wide array of studies, topics, and methodologies. Observation Baltimore has the know how to utilize traditional methodologies as well as more innovative ones. Brand Image. Understanding how your brand is perceived and what attributes of your product or service add or detract from the essence is critical to success. Service Evaluation. When healthcare programs and services are monitored or evaluated, identification of accolades and issues become easy. Satisfaction surveys. This methodology focuses on designing questionnaires for patients, physicians and medical personnel to identify the level of satisfaction. It’s essential to any healthcare entities’ success to monitor satisfaction across products and services. Needs assessments. This is a very valuable methodology because needs assessments reduce health care spending costs by learning what constituents and consumers need. This is completed through focus groups, one-on-one interviews and qualitative research. Research on the effectiveness of health care campaigns. This can be identified and help improve brand development. If you know what’s creating a buzz, you’ll know where and how to direct your future healthcare efforts. Focus groups. They can gather immediate information on your target audience. This is perfect for tasks such as product naming. One-on-One interviews. In-person or telephone surveys provide good overview on the representative population demand for health care products. Mobile in-the-moment diaries. This methodology can document a product or service in a more real-time atmosphere. Here at Observation Baltimore, we are dedicated to helping your company capitalize on invaluable data for utmost marketing gain. The market research we complete for you will help your brand message become more believable, evidence-based and valuable to your consumer base. Consumer health care marketing is an ever-changing platform. Let us help you reap the benefits of extraordinary market research today. This entry was posted on Wednesday, January 20th, 2016 at 12:36 pm. Both comments and pings are currently closed.